We don’t just prefer HSAs – we love them. In fact, it’s the only type of plan we offer our own staff. 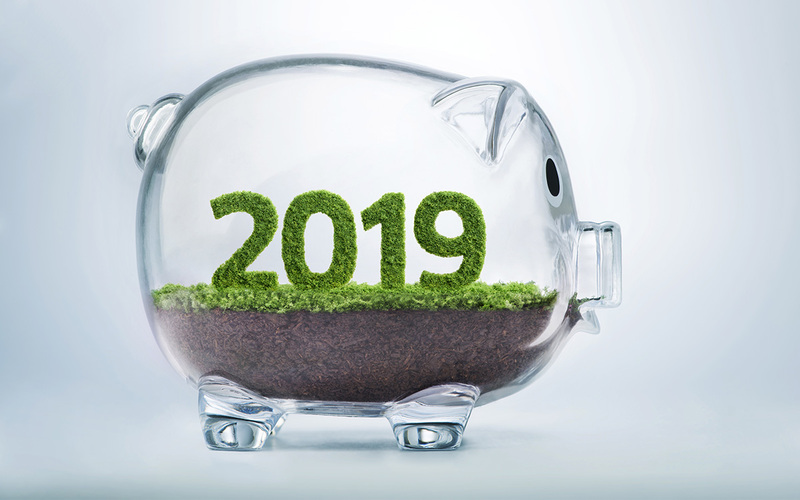 The IRS has announced the 2019 inflation-adjusted limits for Health Savings Accounts and High Deductible Health Plans. These new adjustments will take effect on January 1st, 2019 and will stay effective through the 2019 calendar year. 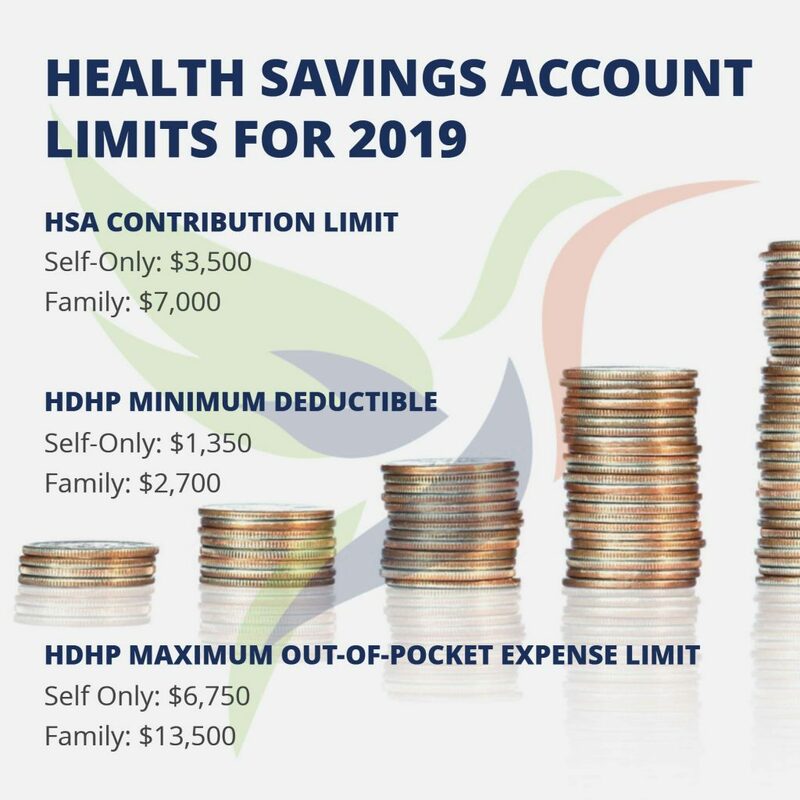 The IRS has increased the 2019 HSA Contribution Limit, up $50 for self-only plans and $100 for family plans. This is a positive increase as employees are now able to contribute more tax-free dollars to their accounts. The HDHP Minimum Deductible Limit will stay the same, at $1,350 for self-only plans and $2,700 for family plans. The HDHP Maximum Out-of-Pocket Expense Limit will rise $100 for self-only plans and $200 for family plans. These expenses includes deductibles, co-pays and other amounts not including premiums. HSA Catch-up Contributions, which are available to employees ages 55 and older, are not subject to adjustment for inflation and will stay at $1,000 maximum contribution per plan year. If your company is on an Aliat Cigna medical plan, employees will have an annual HDHP maximum out-of-pocket of $5,000 for self and $10,000 for family. Click here to learn more about our All-In plan, which includes access to Cigna HSA medical plans for small to midsized businesses. Plus our Freedom to Fly Guarantee, which helps your company reach health insurance rate stabilization, up to a 0% increase. If you are an employer that offers an HSA plan, be sure to update your enrollment materials to reflect the increased contribution limits. If you do not currently offer your employees the option of a Health Savings Account, YOU SHOULD GET ONE, seriously. Instead of paying money to an insurance company, choose to funnel that money into an HSA for your employees. Setting up a recurring monthly payment directly into your employees’ accounts will not only be a tax benefit to you, but will be of great value to your employees. What should EMPLOYEES do to prepare? Employees should elect a Health Savings Account paired with a High Deductible Health Plan during benefits enrollment. This plan type provides a huge tax incentive. Money is put into an account on a tax-free basis, usually through a salary deduction. It can build up tax-free in an investment account and comes out tax free to cover out-of-pocket healthcare expenses. Employees that elect an HSA should be educated on their contribution options. A smart choice is to put away enough money in 2019 to cover their HDHP Deductible. If the employer makes a $50 contribution to the employees HSA every month, and the employee matches that contribution, the employee will have put away $1,200 toward the deductible tax-free. Funds always roll over. If employees do not use all of the funds, they get to keep the money – which is why a Health Savings Account actually doubles as an amazing retirement account. Why does Aliat prefer Health Savings Accounts over traditional plans? HSAs help teach employees how to become smarter consumers of healthcare. When employees begin to see HSA dollars rise in their mobile banking apps, they are encouraged to shop the market for better pricing. They begin to save money on co-pays, prescriptions, and other healthcare costs. HSAs also give employees a financial incentive to be healthier. If employees lead a healthy lifestyle and take care of their bodies, they do not have to use their HSA dollars toward medical expenses. They get to KEEP the money instead of spending it! HSAs also help combat the rising cost of health insurance. When employees are healthy, a business will have less insurance claims. This has a positive impact on health insurance rates for the following year. With the Aliat Freedom to Fly Health Rate Guarantee, small to midsized businesses can now work toward rate stabilization.